The newest Hearthstone expansion, Knights of the Frozen Throne, is now live in the Americas, with launches in the rest of the world scheduled to follow shortly thereafter. This new set’s got death knights, a single-player scenario, and 135 new cards overall that will heat up the competitive scene — maybe even enough to thaw out the Lich King’s frozen heart. The highlight of the expansion is the nine death knight hero cards, which transform each of the game’s heroes into undead versions, giving them armor, an instant benefit, and a new and suitably beefy hero power. There’s also a new keyword, Lifesteal, which heals your hero whenever the card with Lifesteal deals damage. You can check out every card in the set here. Finally, in lieu of paid adventures, Blizzard is also providing a free set of single-player missions in Knights of the Frozen Throne. New missions will unlock every week, pitting players against an increasingly difficult series of bosses. The final foe is the Lich King himself, who changes his strategy — or “cheats,” as Lead Mission Designer Dave Kosak puts it — based on what hero you’re playing. Beat him with all nine heroes and you’ll earn the alternate paladin hero, Prince Arthas. 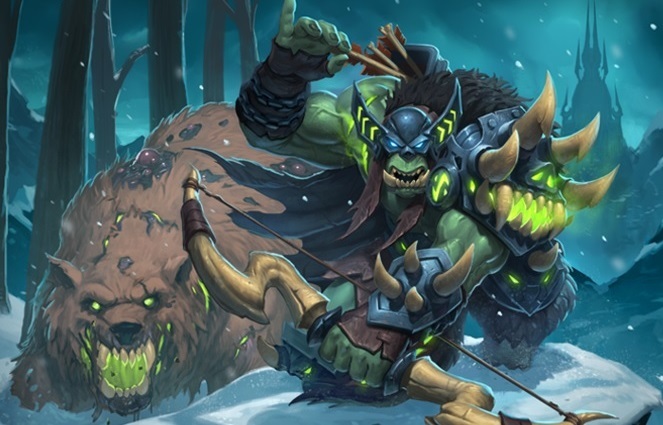 The Knights of the Frozen Throne patch also introduces a few other tweaks to Arena picks and rewards, as well as a change to the warlock card Dreadsteed. You can read the full patch notes for the expansion on the Hearthstone site.